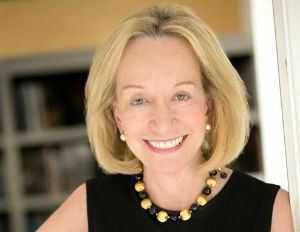 When Doris Kearns Goodwin was six years old living in Long Island during the early 1950s , her father taught her the “mysterious and wonderful artâ€ of keeping score in baseball. He went to work everyday and she recorded for him the history of that day’s Brooklyn Dodgers game. When he came home from work they’d have a nightly two-hour conversation. Goodwin is a Pulitzer prize winning biographer whose most recent book ‘Team of Rivals’: The Political Genius of Abraham Lincoln was the basis for Steven Spielberg’s Academy-Award winning biopic Lincoln. Goodwin wrote about baseball, the Brooklyn Dodgers and Jackie Robinson in her 1997 memoir Wait Till Next Year. Jackie Robinson was her favorite baseball player, as she details in her memoir, and it didn’t seem strange to her that her favorite player was black. Goodwin said, Major League Baseball executive Branch Rickey knew that Jackie Robinson was “the” person who could carry the burden of being the first person, to open the doors to other blacks. “You just hope that blacks today understand the shoulders on which they stand,â€ Goodwin said. Goodwin finally got to get Robinson’s autograph when she was about 12 years old.